Robert has an excellent attitude and is making massive improvements, especially with his stamina. Isabella has good attendance, works very hard and improves more than she realises! Keep up the good work! Harry has been awarded Swimmer of the Month for high levels of effort and concentration during training each week. Rosy has recently moved into the Senior Squad and is demonstrating excellent effort and resilience. Keep up the good work! Ellie's decision to join the club knowing she would be swimming with younger swimmers was a brave one. She's putting in enormous effort and her hard work will pay off! Rob is a constant hard worker, he attends every week and happily joins in with galas even if only to join a relay team in order to support the club. Great work Rob! Eloise has managed to swim in the regional competitions, has gained club records and recently showed true adversity when she continued to race despite a nasty injury. Callum was recommended by Gary due to the politeness he shows towards his team and coaches. He is also trying very hard with improving his swimming. Keep it up! 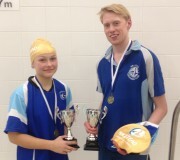 Sophia Aldous for an outstanding 200m butterfly at Club Champs and Isaac Hayes for doing a very good 200m butterfly and great I.M at Club Champs. Fantastic, keep it up! 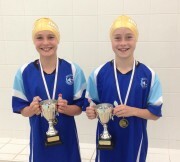 Louis has shown great effort and concentration, and Emma has been working very hard showing great improvement. Good job - keep it up! 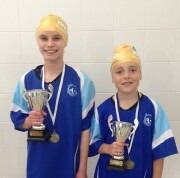 Oliver was able to overcome his nerves and swim brilliantly at the Enfield gala. Josephine also swam well at Enfield and is starting to put her training into practice. Well done! Molly is going from strength to strength; she's the only regional swimmer and has now been selected as an East Essex Swimmer! Kurtis was nominated by two coaches because they are very happy with what he's achieving, keep up the good work! Esme was nominated by three coaches as someone who tries really hard, asks how she can do better and who's swimming has greatly improved. George has been chosen because at a recent swimming gala, although he had difficulty during a race, he was able to show resilience by carrying on. Well done! 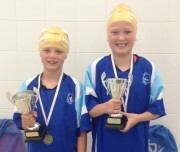 Millie has gained swimmer of the month because she is training really well. She is listening hard to advice given and trying to act on it. Jack has earned swimmer of the month because although unable to compete yet he has an enormous amount of enthusasiam for swimming that deserves recognition! Keep it up Jack! Maddison has shown great improvement and attendance. Lewis has had especially good training sessions, good attendance and overall general improvement.